The latest book in Dawn Westcott’s series about Exmoor Ponies is now available, just in time for Christmas! Wild Herd Whispering is about the incredible Exmoor ponies as they reveal their true natures through the world of herd energy and dynamics. “Starting with the dramatic winter arrival from the moor of a tiny five week old wild-born foal who faces the bleakest future, it is the big herd at Holt Ball Farm that decides how she will survive and thrive. The book follows the adventures of the ponies, revealing characters and behaviours that take you on a heart-rending, thought-provoking and enriching journey of equine enlightenment. This is an opportunity to catch up with adorable orphan Monsieur Chapeau and his friends and majestic stallion Bear, as their lives evolve and entwine with the wild herds of Exmoor. It follows the endearing, exciting and at times perilous experiences of the ponies – including unwelcome night time adventures, the quest to find foals lost in the wilderness and an entire moorland herd in jeopardy. With an expanding herd and challenges to face, author Dawn Westcott looks to the ponies themselves for help and inspiration: they in turn respond in a way that offers magical insights into what is going on in their hearts and minds. Date for the Diary: Horse and Pony. A free event with authors. 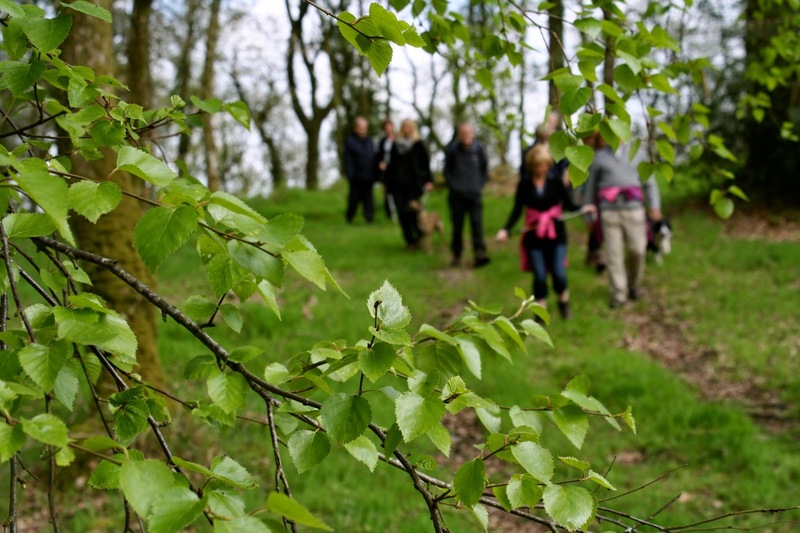 Love walking, love reading?​ Then this could be the book club for you. 12th September, 10th October, 14th November & 12th December. 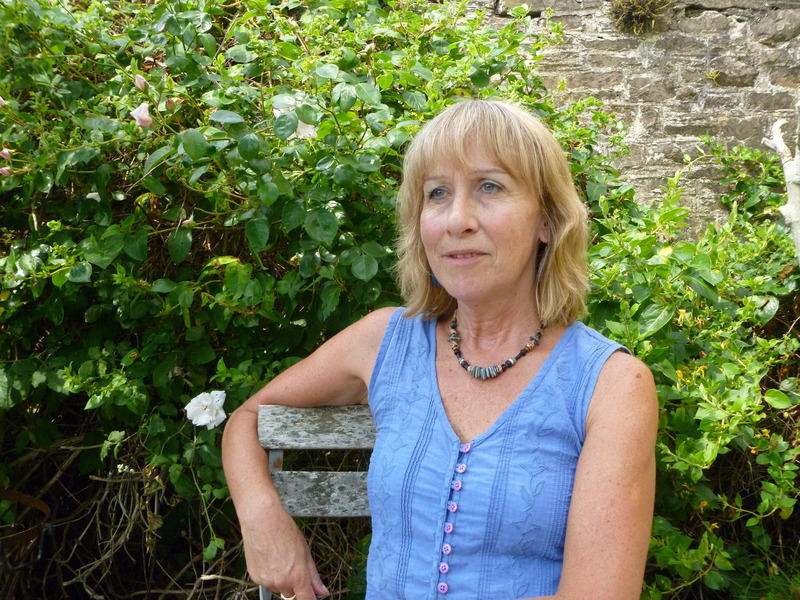 For further information about upcoming book selections, please go to the website of Number Seven in Dulverton. 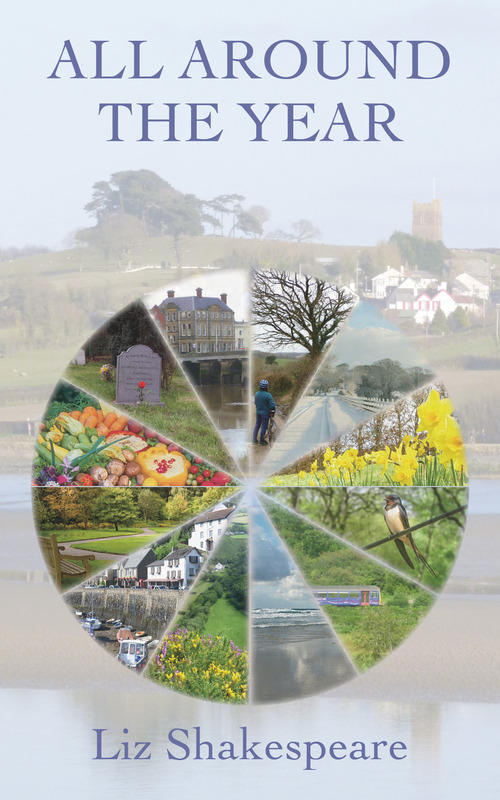 This post was originally published by Davina Jelley on the Number 7 Dulverton blog. On Friday I led a walking book club special as part of the North Devon and Exmoor Walking Festival which is now in it’s fourteenth year. 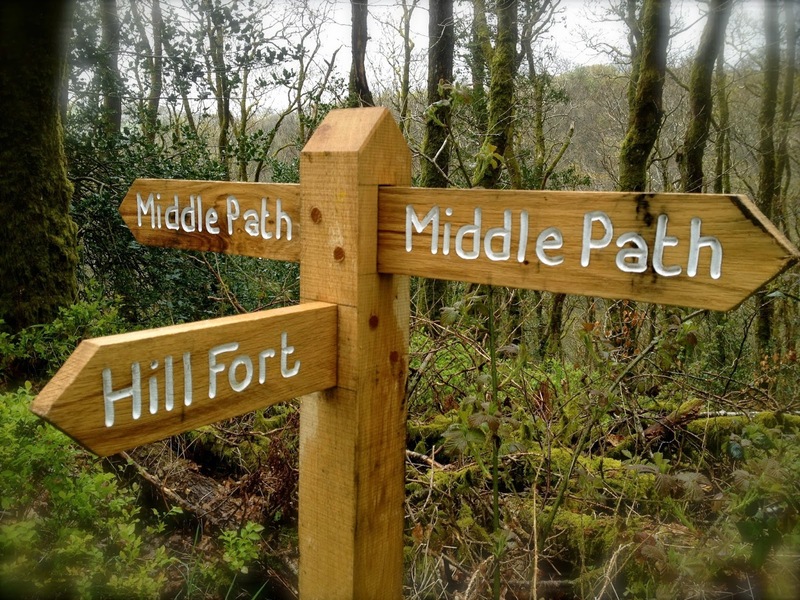 Walkers were asked to read The Old Ways – A Journey On foot by Robert Macfarlane, which seemed a very apt choice for a walking festival, particularly as the route I had chosen would include two beautiful holloway tracks. 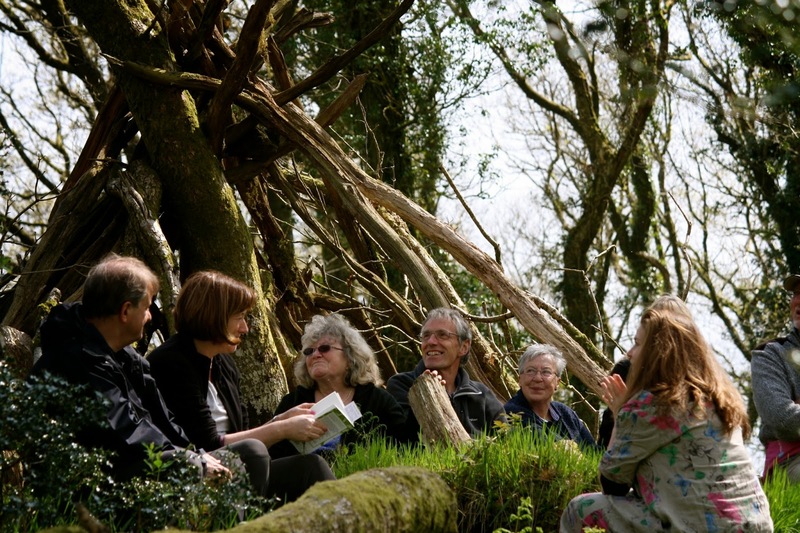 The weather was perfect for walking, bright, a slight breeze, not too warm and dry and so I guided the group to Dulverton’s alternative venue, our favourite book club spot, the den that is situated on the site of an old hill fort in Burridge woods. There were plenty of fallen logs for us all to find a spot to sit amidst the emerging bluebells. The book met with a mixed response, some found it far too in depth and intellectual, others thoroughly enjoyed his style of writing and sense of place. Personally I loved it. I tend to steer away from non fiction, so was a little tentative about starting this book. What if here was the first book club choice that I would be not be able to finish. My fears were immediately alleviated as I was lost in his magical description of a nighttime walk in hushed snow and keen to read on. Discussion over it was time to continue on a walk and chat in smaller groups about the book, had it inspired our walkers to walk on their own, plan longer walks, walk in different countries or perhaps write about their own journeys on foot. Not all the group were keen to tackle the steep climb that leads to Court Down, so we said our farewells at Marsh Bridge and they walked along Northmoor Road with the River Barle to accompany them back into town – leaving the keener walkers to continue on the advertised route. Reading The Old Ways has sparked an inclination to read other non fiction nature writings. Although why I was perturbed I don’t know, as I loved Roger Deakin’s Waterlog, sometimes it’s good to be gently reminded and nudged back into forgotten territory, surely that is the beauty of a book club. On my list are a couple of proofs that look interesting including Meadowland by John Lewis-Stempel and just published Dip by Andrew Fusek Peters. 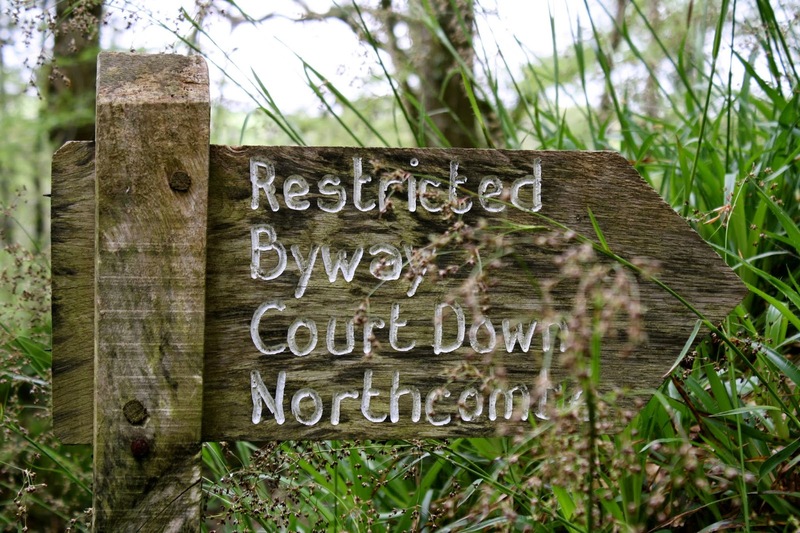 Thank you to all who joined us on The Old Ways walk, our regular book club members and those who were discovering the woods around Dulverton for the first time. 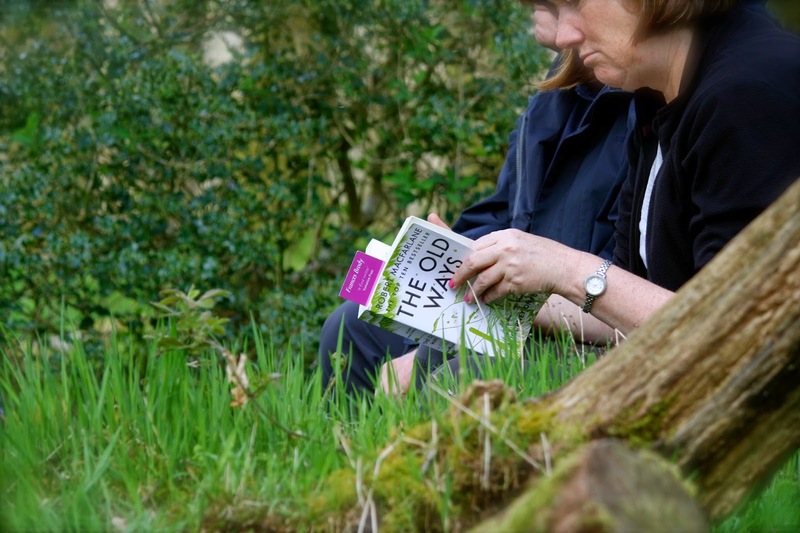 If you’d like to find out more about Number 7 Dulverton and join their Walking Book Club, then please pop over to their website. The next walk will take place on 31 May 2014. We are delighted to welcome Itsyourstory as a partner to Exmoor Club which will be launched next week with brilliant offers and deals across Exmoor. Itsyourstory, based in the Exmoor village of Selworthy, would be delighted to offer Exmoor Club members a 15% discount across its range of books, clothes and cards. The company sells high-quality photo-personalised gifts for children. There are over twenty books to choose from for children aged one up to ten, each incorporating the child’s face into the illustrations and weaving information about them into the storyline. Check out the popular Dressing Up Box books, where the child is transformed into different characters or the SuperSox book for budding Superheroes of the Fairy Girl book for all fairy lovers. Visit www.itsyourstory.co.uk to find out more. Club Card holders please email info@itsyourstory.co.uk for your unique voucher code entitling you to a 15% discount (excluding postage).